4 Bedroom End of Terrace House For Sale in Gloucester for Guide Price £220,000. 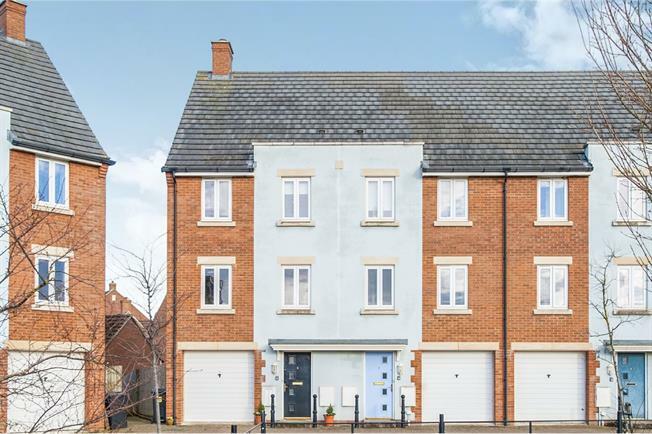 A well presented town house set in the popular Kingsway area. This property is well maintained and ready for the new owner to move straight in. Accommodation comprises of entrance hall, cloakroom, large kitchen diner with French doors to the rear garden and integral garage. On the first floor a light and airy lounge with French doors and Juliet balcony, family bathroom with shower over the bath and a double bedroom. The second floor has the master bedroom with en suite shower room and two further bedrooms. Further benefits to this property are enclosed rear garden, allocated off road parking and an open outlook.